Though I do not really understand the resist dye process, I do find it interesting. 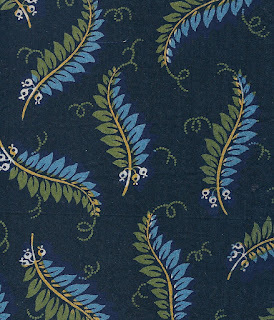 I think I need to read up on 19th century textiles. Both fabrics are beautiful.